According to some critics, Twin Peaks, ‘is the most important show in the history of television.’ Shumon Basar and Peter Carl delve into the enduring power of this popular culture mythology, which originally aired in 1990 and returned this May, after a 26-year hiatus. 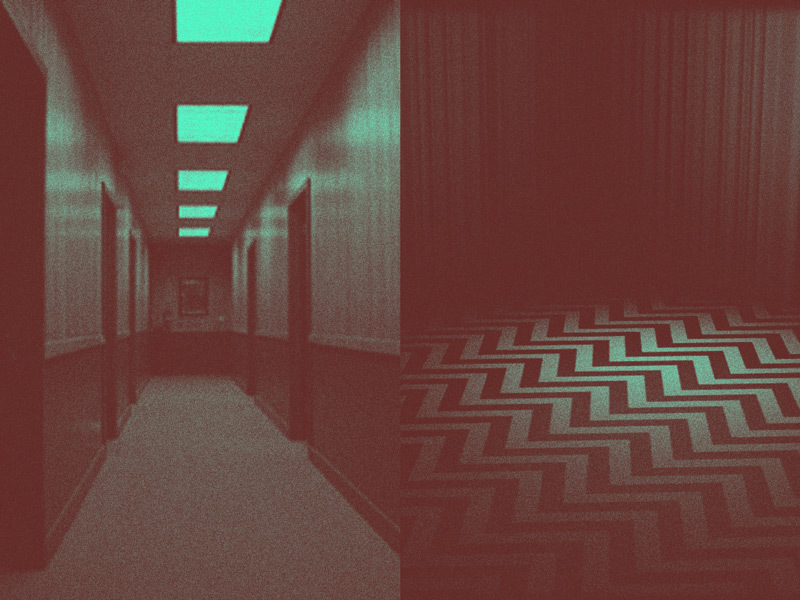 David Lynch and Mark Frost’s experiment in sustained mass-surrealism produced a legacy of disquieting interiors and unsolvable mysteries. Television never dreamt the same way again. SHUMON BASAR is a writer, curator and cultural critic. Co-author of The Age of Earthquakes: A Guide to the Extreme Present with Douglas Coupland and Hans Ulrich Obrist, he is also Commissioner of the Global Art Forum in Dubai; Editor-at-large of Tank magazine and Contributing Editor at Bidoun magazine; Director of the Format program at the AA School, and a member of Fondazione Prada’s Thought Council. PETER CARL taught at the School of Architecture, Cambridge University for 30 years, then ran the PhD Programme in Architecture at the CASS, University of London, for seven years. He is now a Visiting Professor at the GSD, Harvard University, where he runs a seminar called ‘Practical Wisdom,’ exploring the contexts in which architecture and cities get made.